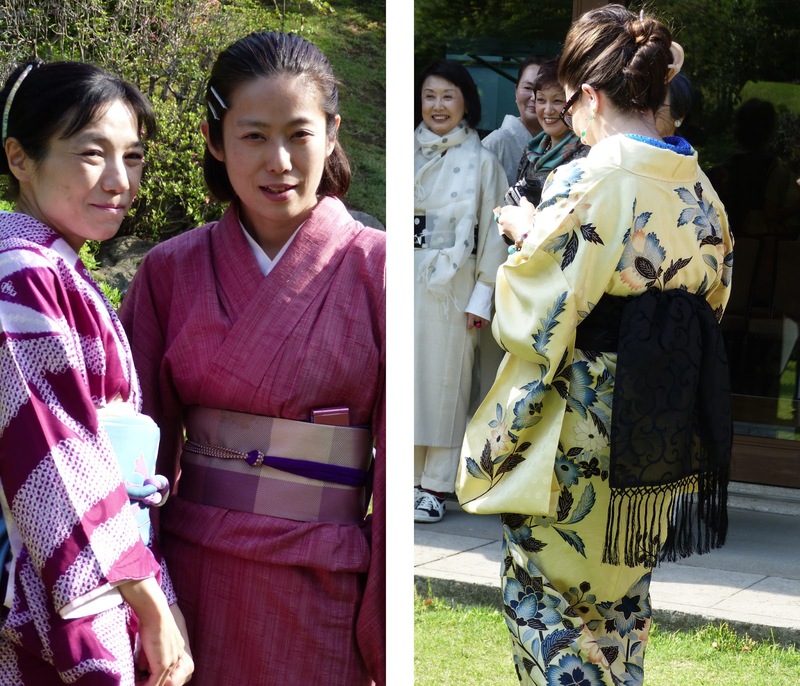 I'm afraid I've been a bit lax about writing on my blog recently, but now that we only have a few months left in Tokyo before we leave, I feel that I need to tick a few things off the list before we go, and will be writing about them as I go along. 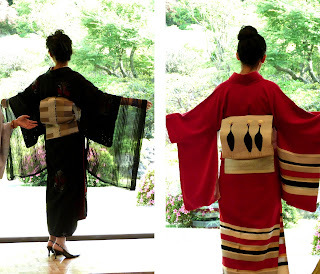 One of the things I've wanted to do since I got here is find out how to wear a kimono. 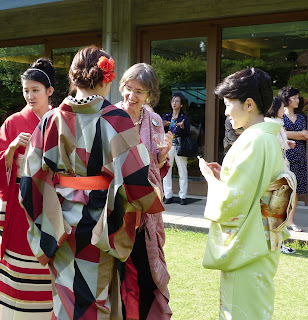 The other day I was lucky enough to get to go to a lovely event at the International House of Japan in Azabu Juban. 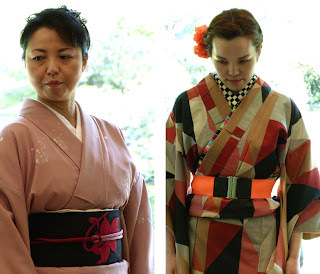 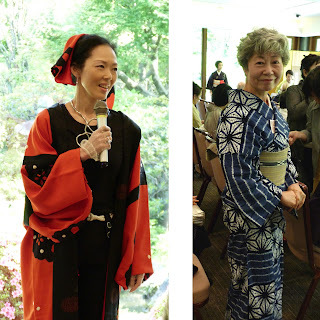 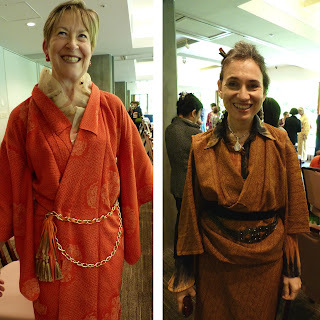 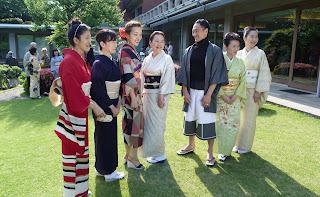 It was held by the CWAJ, where members modeled kimonos in varying styles from the traditional to the avant garde. 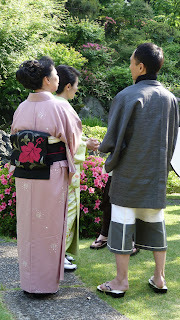 It was all done in a setting overlooking a beautiful Japanese garden.